Replacing traditional incandescent energy guzzling outdoor lights with energy efficient outdoor LED lights is much better for the environment. It’s great for your energy bills, too! Find out why you should make the change to LED lights in your garden right now. Why are LED lights so energy efficient? Expert advice from the Energy Saving Trust (EST) indicates that an LED light can provide you with the same levels of brightness as a traditional light bulb, but save you a huge amount of energy. The EST explains that if you replaced every single light bulb that you use with an LED, you could save around £35 annually. The great thing about LED lighing is that LED lights do not just use less power – they also last longer. That means that an LED garden light can provide you with just as much illumination as a traditional incandescent lightbulb but it will both consume around 75% less energy and last for several years longer. Part of this is due to the fact that LEDs produce less heat than incandescent bulbs, so more of their energy is emitted as light energy and less is wasted as heat. Because they do not overheat readily, LEDs are also less likely to break, go dim, or blow a fuse. It really is a win-win situation. A great way to ensure that your LED lighting system is as energy efficient as possible is to have it come on only when it is needed. Few things are more wasteful than lights burning brightly when nobody is at home to use or enjoy them, whether inside or outside your property. Deploying light or motion sensors or programmable timers, you can train your outdoor LED lights to come on only when your car pulls in to the driveway after work, when movement is detected on the lawn, or just when it starts to get dark naturally. Whether you want something charmingly rustic or ultra minimalist, you will have plenty of great LED lighting options to choose from for your garden. 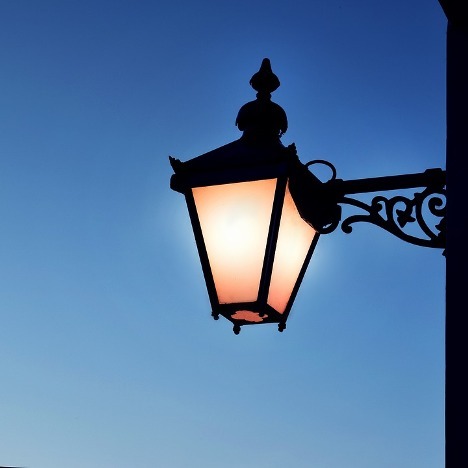 It is so easy to find energy efficient lighting for outdoor use, lighting that is as weatherproof as it is aesthetically pleasing. Make the switch today and enjoy saving money on your electricity bill whilst being kinder to the environment too.